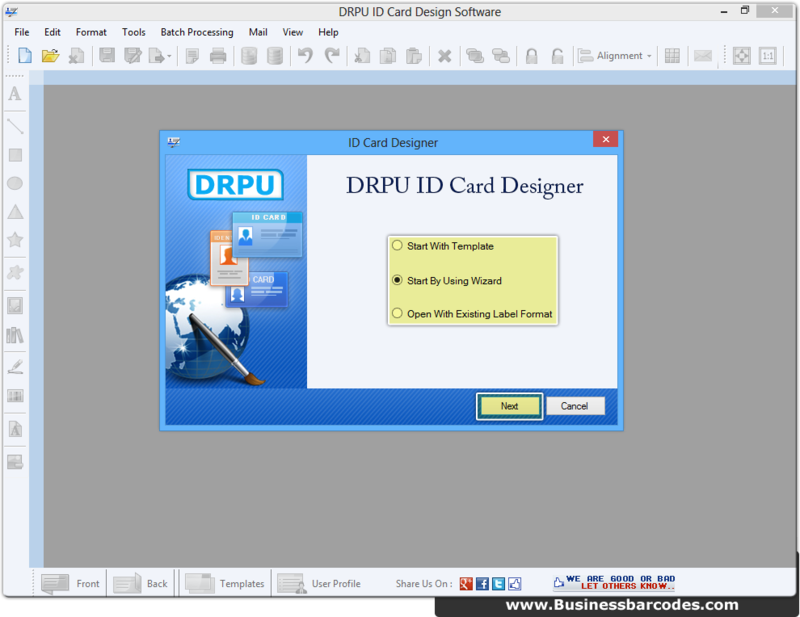 Select one of designing criteria to generate ID card using DRPU ID Card Designer. 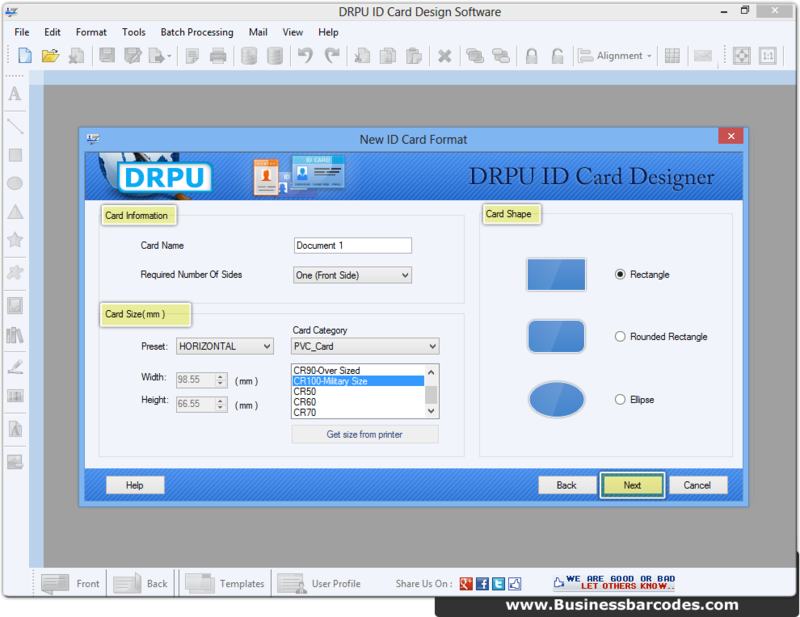 Specify card information, card shape and card size then proceed to next step. Add text, barcode, picture, word art from drawing tools shown at left side of screenshots. 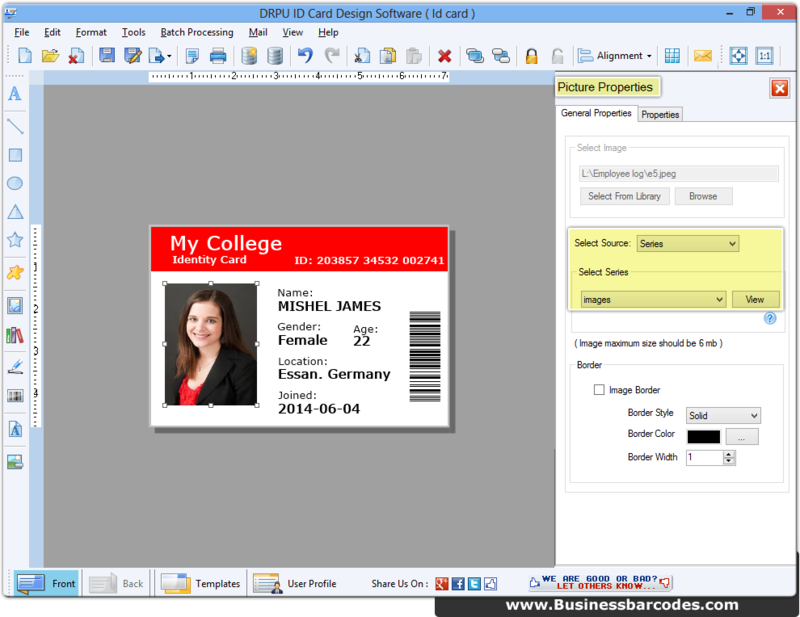 Above screenshot displays picture insertion using ‘Batch Processing Series’ to generate multiple ID cards. 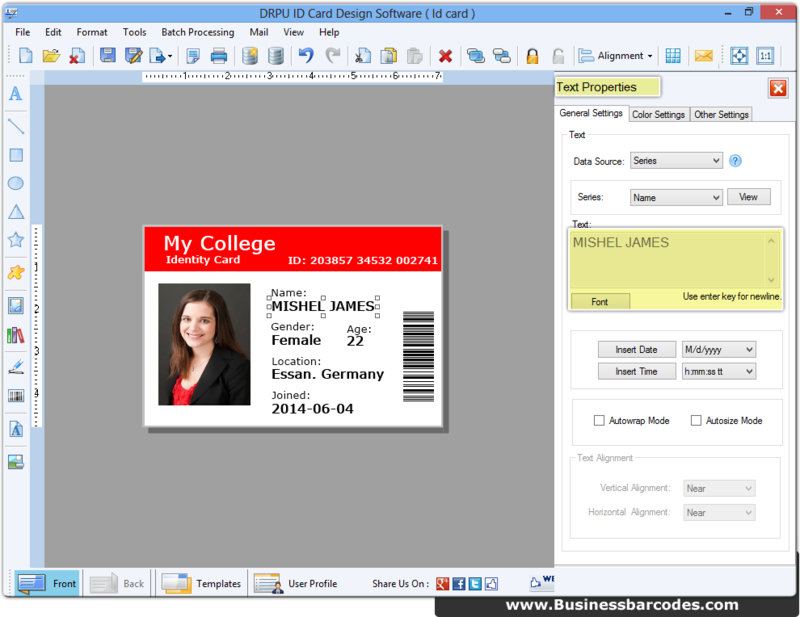 Above screenshot displays text placement using ‘Batch Processing Series’ to generate multiple ID cards with different attributes. 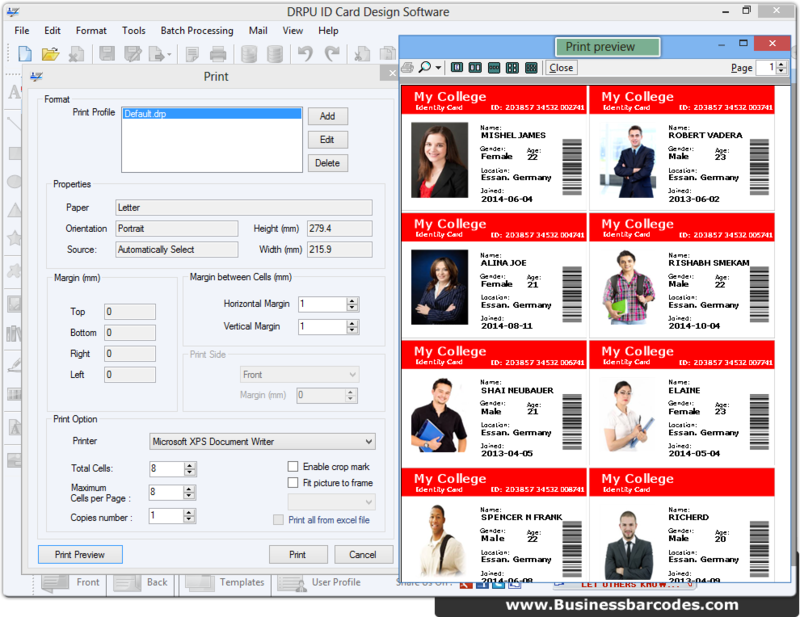 Print Preview of ID card showing multiple ID cards generated using Batch processing feature of DRPU ID card maker software.